How can you lose at this price? There is much to like about this pack. 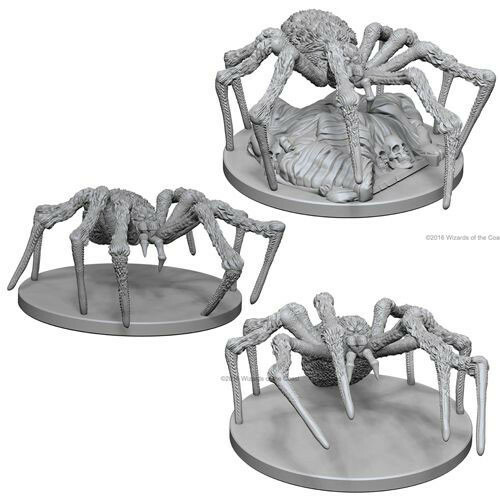 Three spiders, great details, lovely extras, and stands. If you got in at the $3.59 price point, you will be a happy camper here. Mold lines are a little tricky, but the detail for the money, amazing. I have tested these and they can be painted without priming. Just clean the mold lines and go.